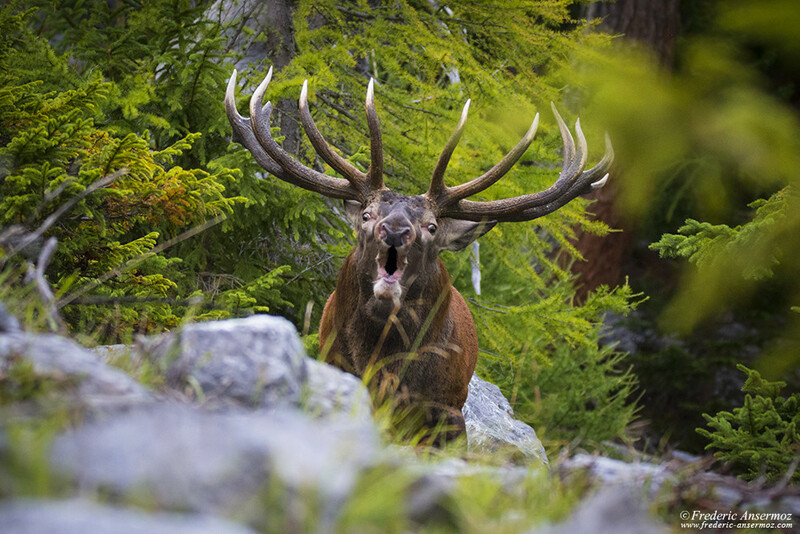 The impressive roar (bellow) of the red deer stag can be heard during mating season (the rut period). 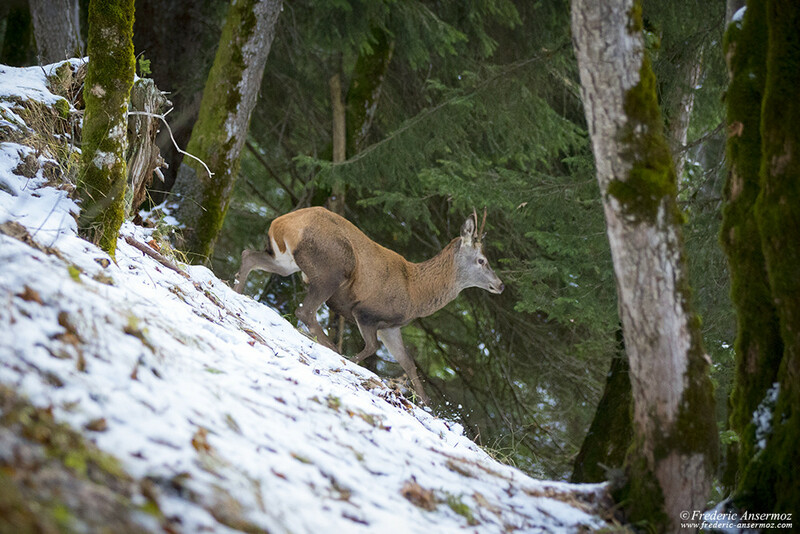 The Rut refers not only to the time of year when some mammal species are sexually receptive and mating, but also to the behavior they adopt. 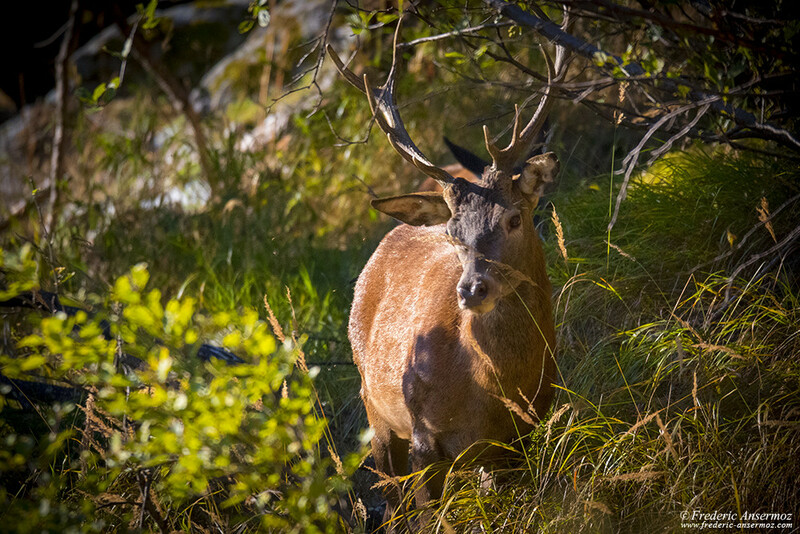 In Europe, red deer’s mating season occurs during the Fall for about a month (from mid-September to mid-October), around the autumnal equinox. 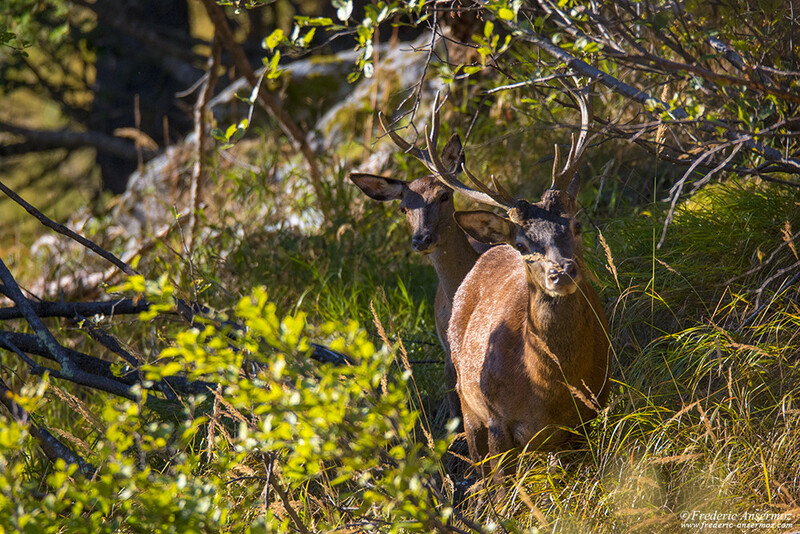 Much less cautious than usual, male and female red deers gather together in open areas, which makes the mating season an ideal time to observe deers. 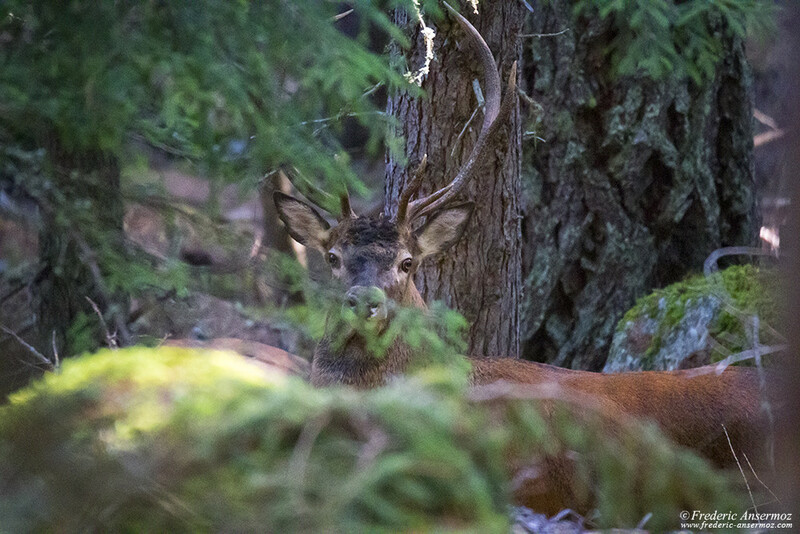 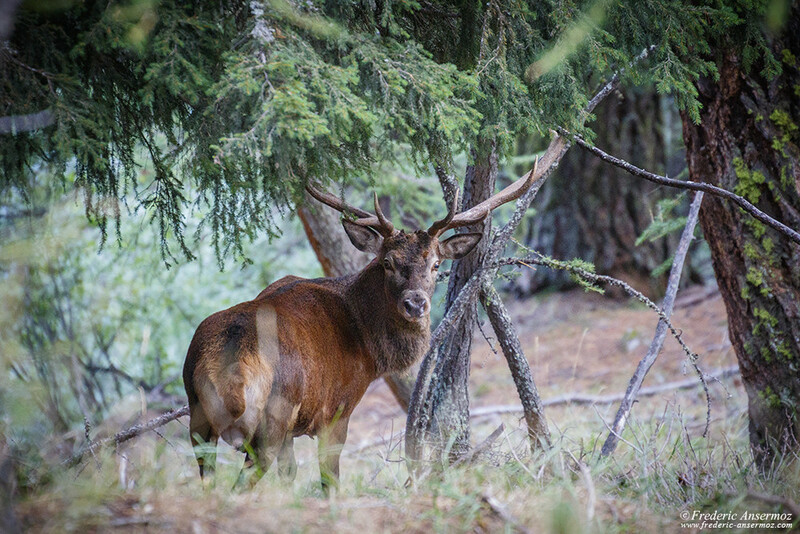 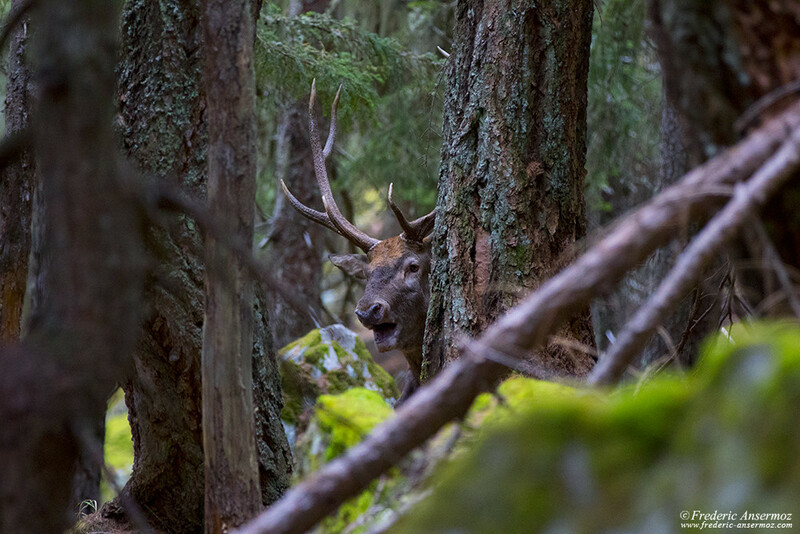 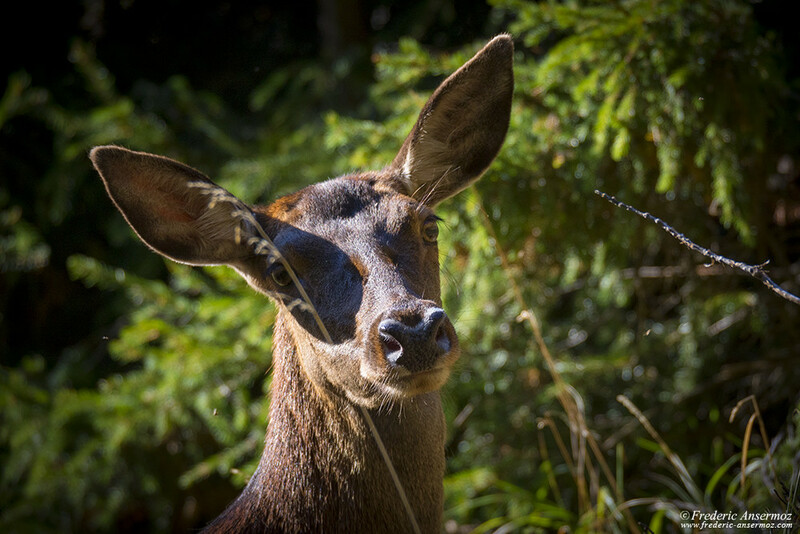 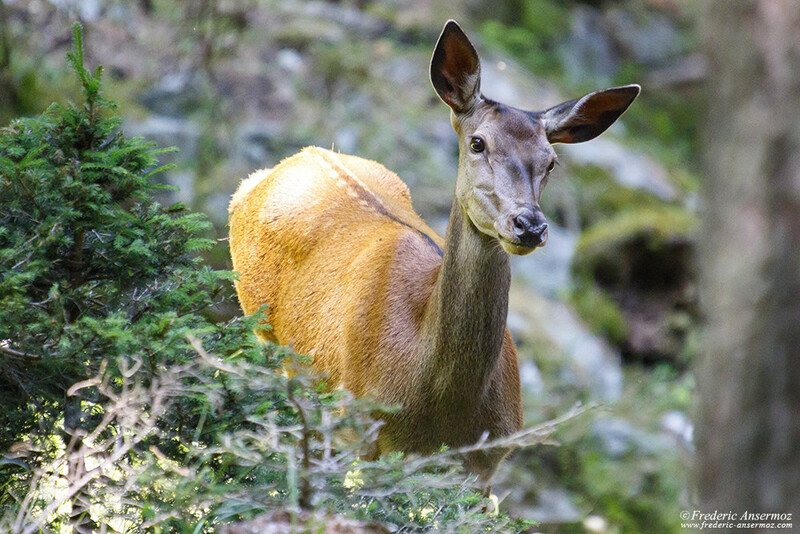 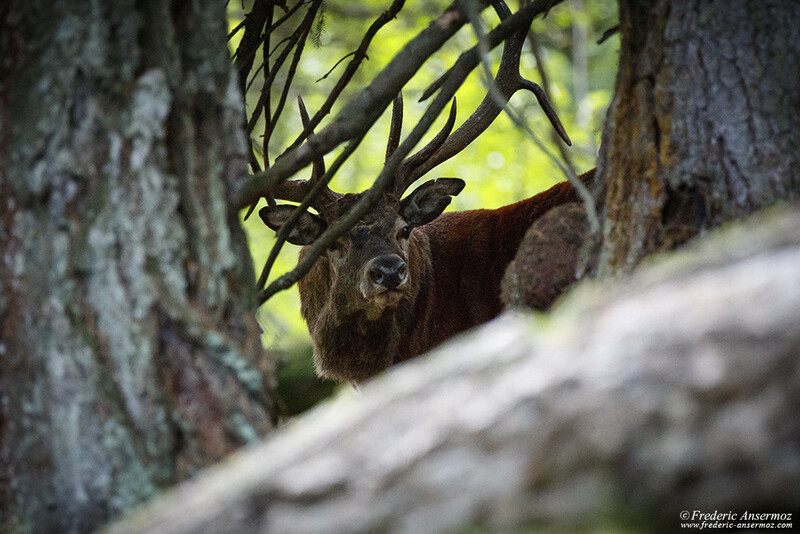 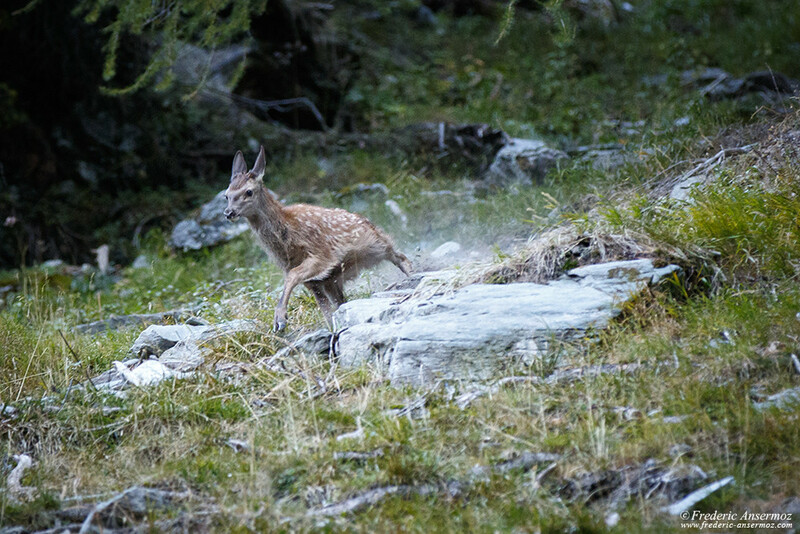 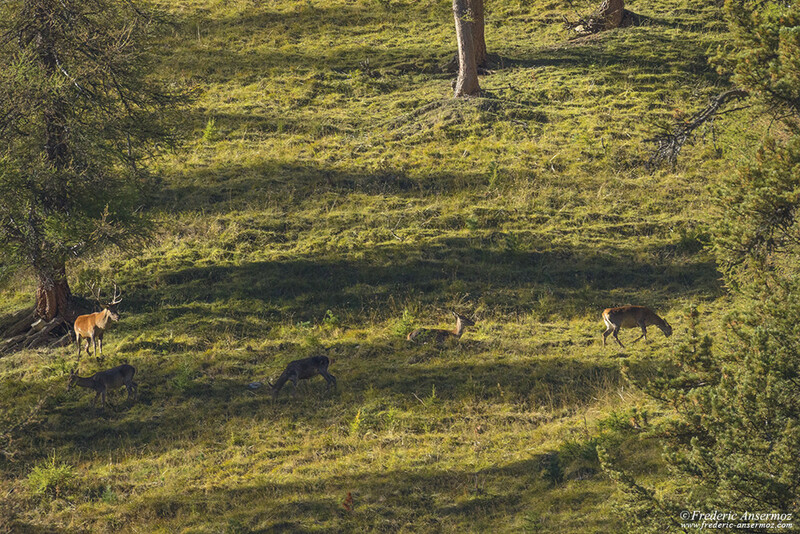 The red deer stag’s roar resonates throughout the forest and the mountains, which makes it easier for wildlife photographers to locate the animals, but unfortunately, for hunters also. 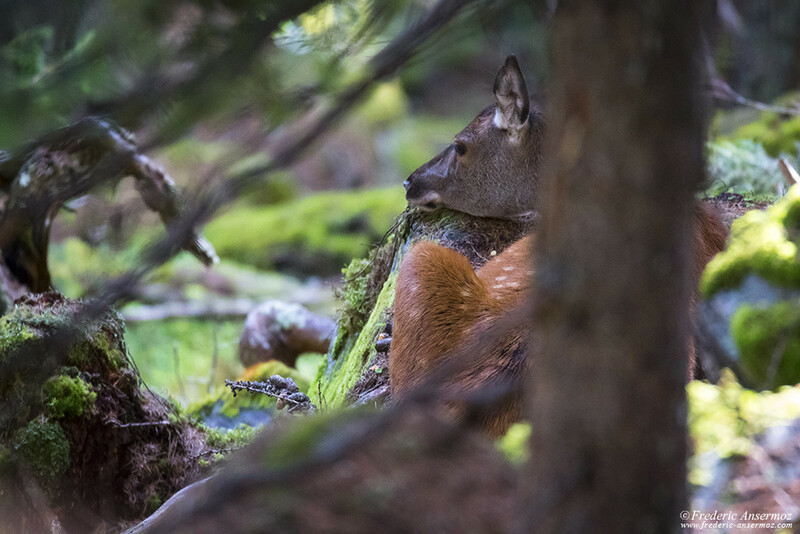 To photograph wild deers, in the middle of nature, you must first browse hunting websites to know the dates, zones, possible period extensions, etc., if you want to be more serene (and stay alive) once in the woods. 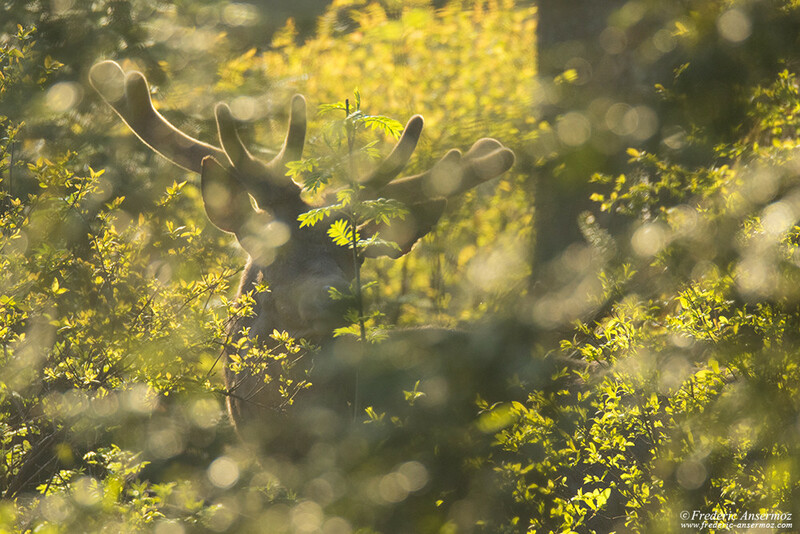 The Rut is also the period of love. 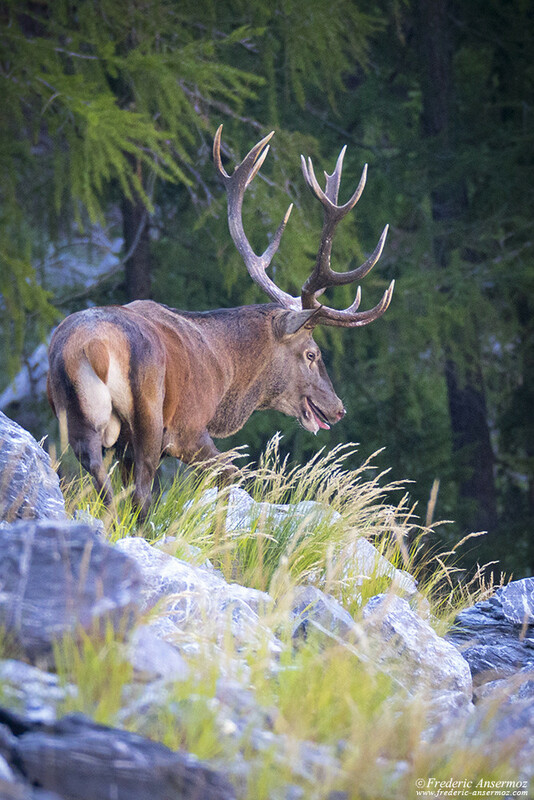 Old males put their efforts to gather their herd (up to 30 heads), defend it and mate with female deers that are fertile for less than a day. 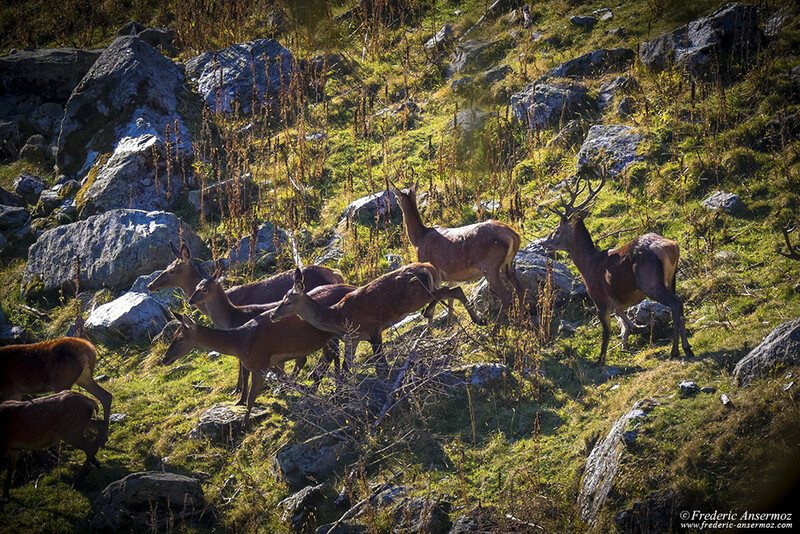 The young male red deers, without herd, will go on an adventure and try to conquer the hinds, avoiding the clash with the dominant male. 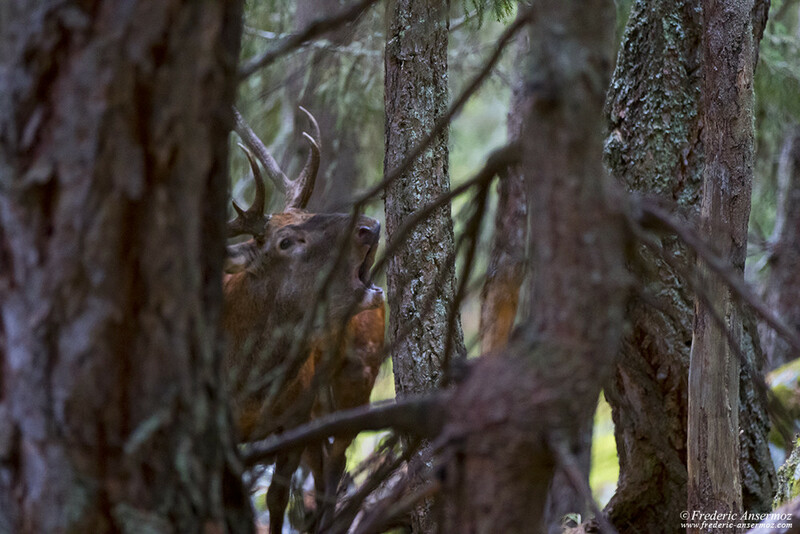 During possible fights between deers, we can hear the sound of wood clashing in the forest, from a good distance. 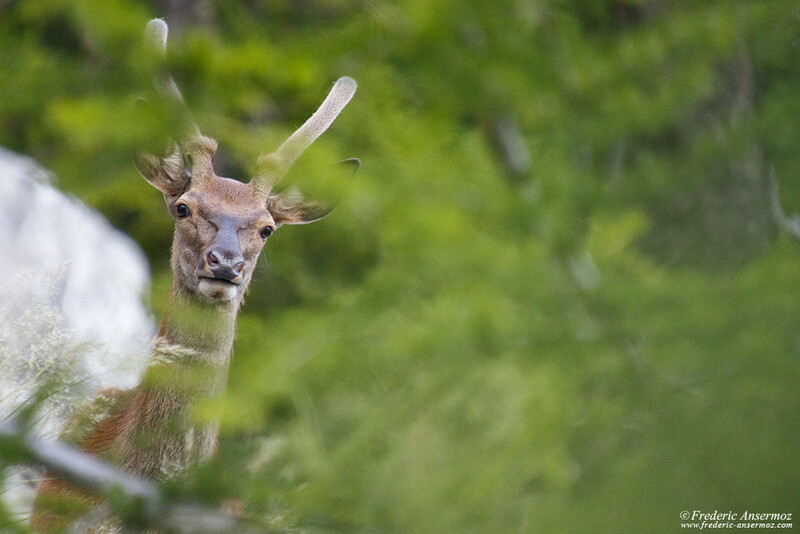 The deer antlers, which grow back every spring, are now mature before falling in the middle of winter. 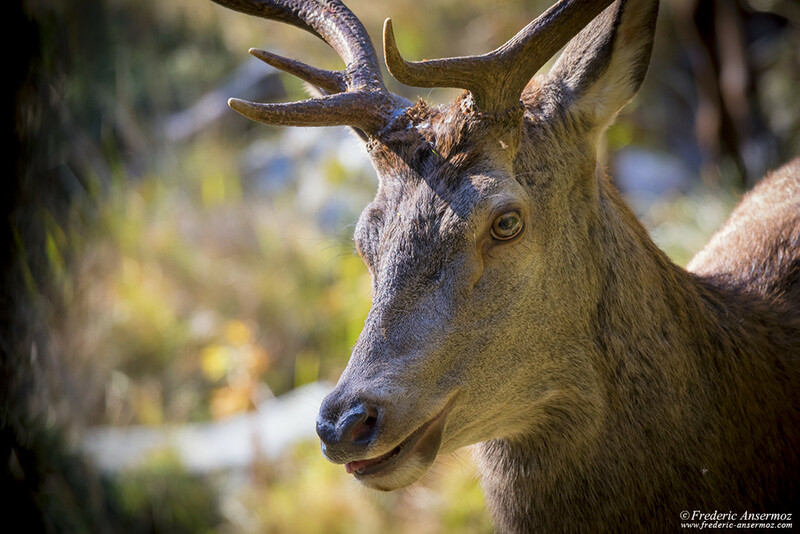 All of this makes the rut period a very physically demanding time for red deers, who eat almost nothing and have no break during their activities. 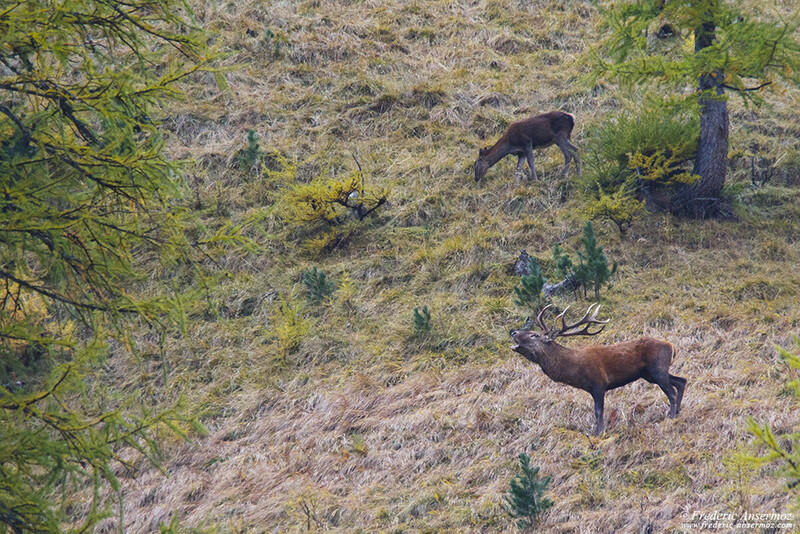 I hope that you liked my pictures of the red deer’s rut period, and that this article will have given you a little more information about this impressive and critical period of the deers life. 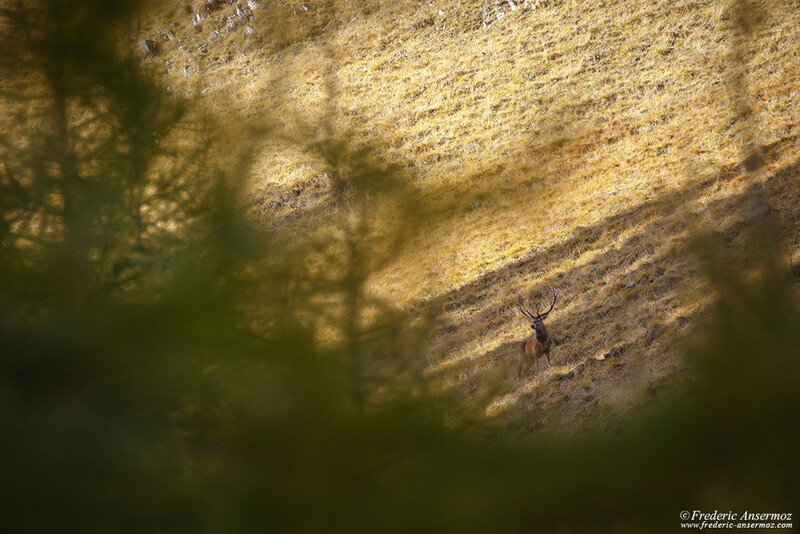 I would have liked to present you better photographs, but every year, when I can, I go on the adventure to take better shots. 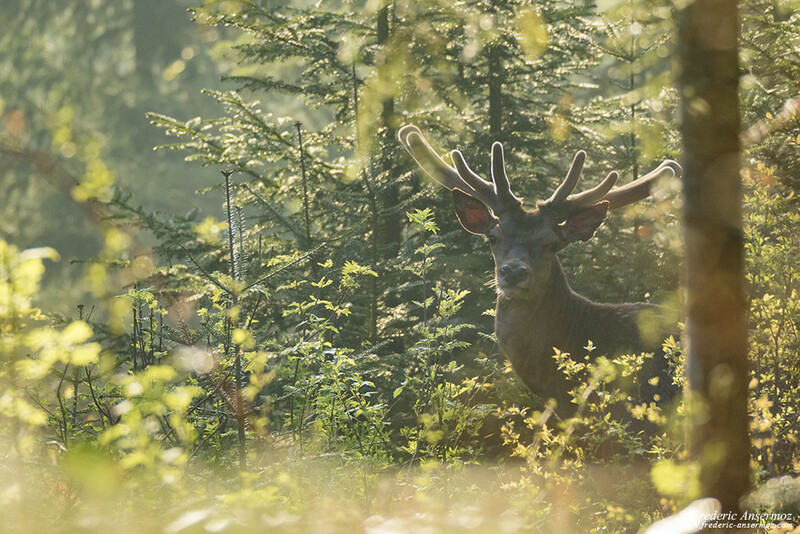 My approaches to the animals are done as respectfully as possible (even if being in the forest at the same time as them, represents a certain inconvenience). 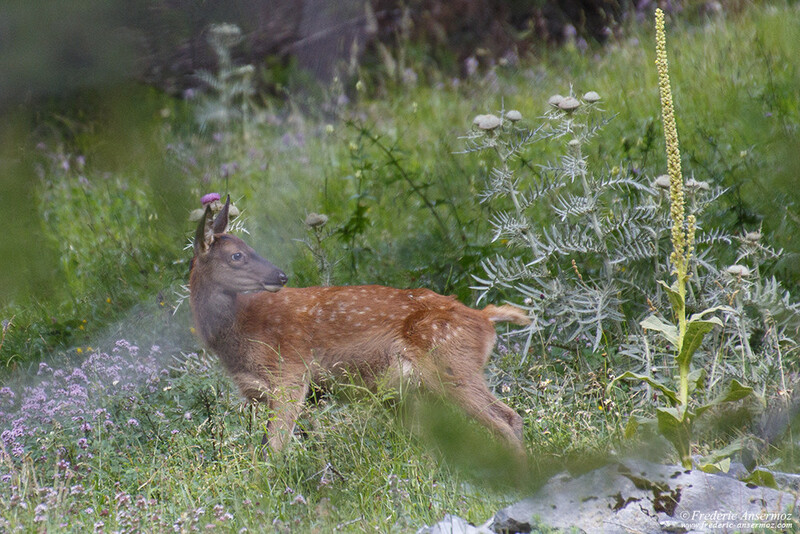 It can even happen, when I’m too close, to not take any pictures to not scare the animals away. 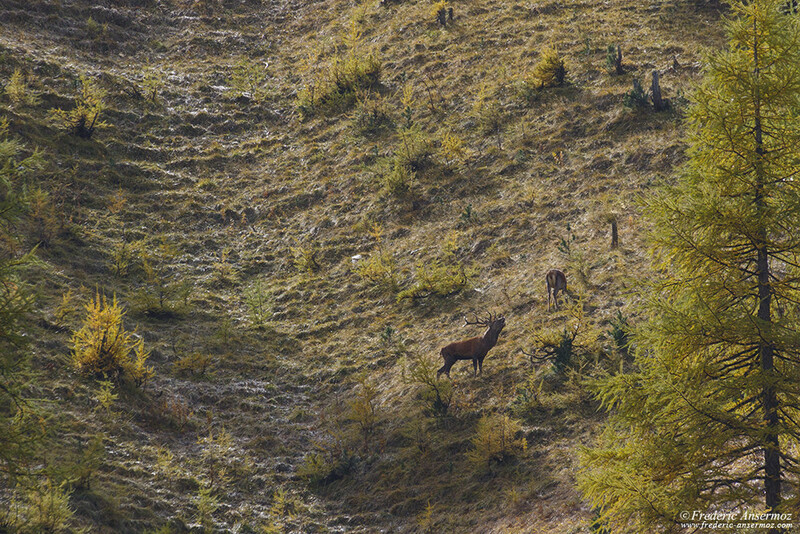 They are already quite tired of their activities, and often of their hunting. 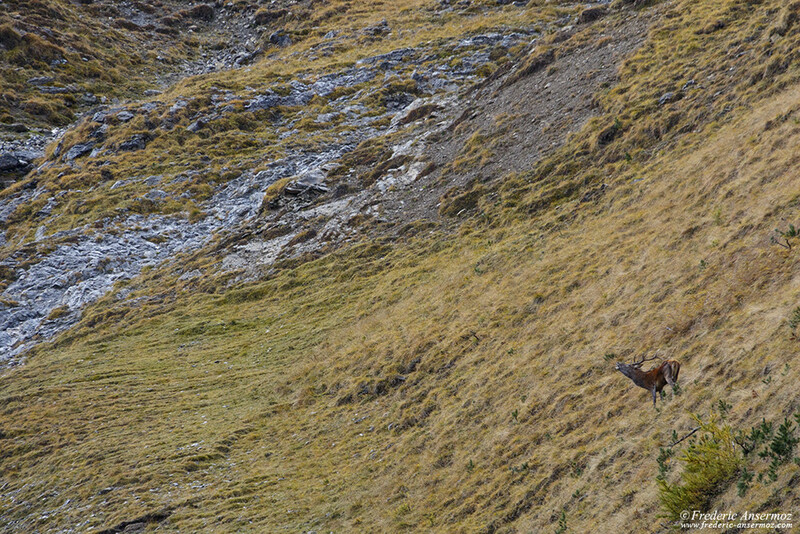 Take good photos and have good observations!